Angela has served on staff at Relate Church for over 25 years in various positions and stepped into the role of Lead Pastor in 2018. She’s passionate about creating environments where people can meet Jesus and find true community. Angela is focused on empowering generations and encouraging others to find their voice in order to spread the very good news that we all have to share. Rod oversights our expansion and renovation project and oversees production and media. He’s responsible for the production, video and sound of Relate Church. Rod and Angela have been married for 24 years and have two grown children, Madi and Miller. 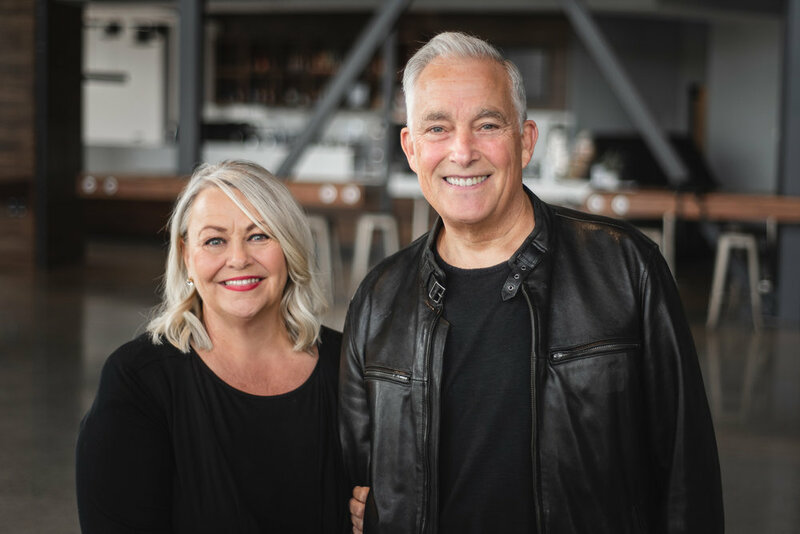 John and Helen are the Founding and Teaching Pastors at Relate Church. They planted the church in 1986, after John left his prosperous dental practice to become a full time pastor. John and Helen have seen the faithfulness of God as their own broken marriage has been restored, and they speak with wisdom and authority on building healthy relationships. They are passionate about church and equipping the next generation to live life well. John and Helen travel extensively mentoring leaders and sharing their life message with churches and organizations globally. John and Helen have celebrated 45 years of marriage and have raised three daughters. They take great joy in their eight grandchildren.